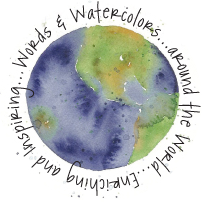 Thank you for your interest in Words and Watercolors. very happy to send you a current wholesale catalog, its price list, and samples. fax at (415) 896-0815. Our hours are: Monday – Friday 9 AM to 5 PM, Pacific Time. We look forward to helping you create sales! If you're interested in becoming a retailer, or have any questions, please fill out the information below and we'll email you shortly.